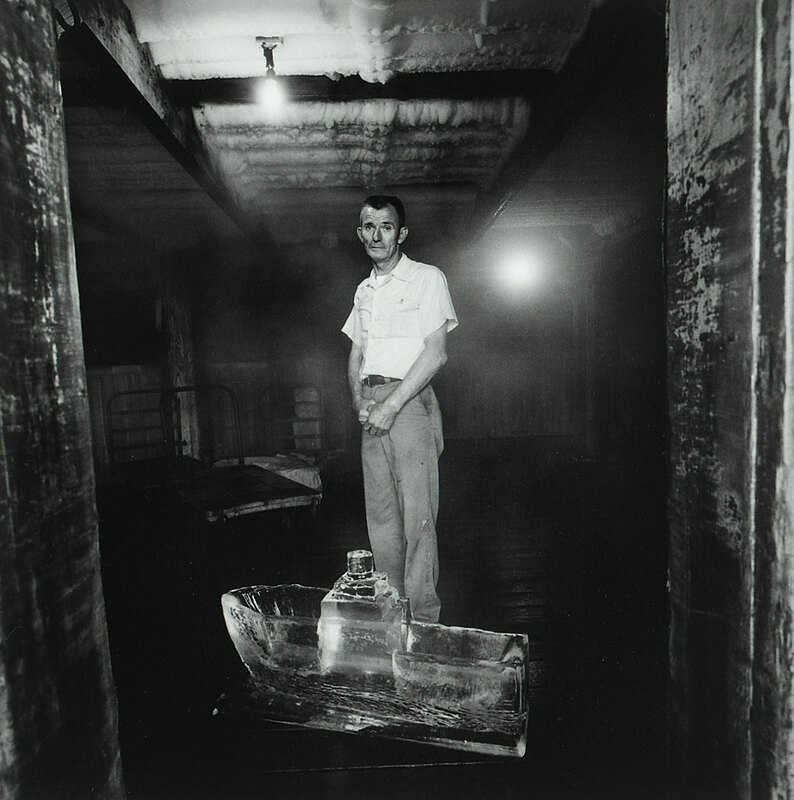 Born in 1941, Emmet Gowin grew up in southern Virginia. He began photographing in 1961, at the Richmond Professional Institute, and went on to graduate study at the Rhode Island School of Design. His prints have been exhibited widely and are in the collections of museums and galleries throughout the United States. 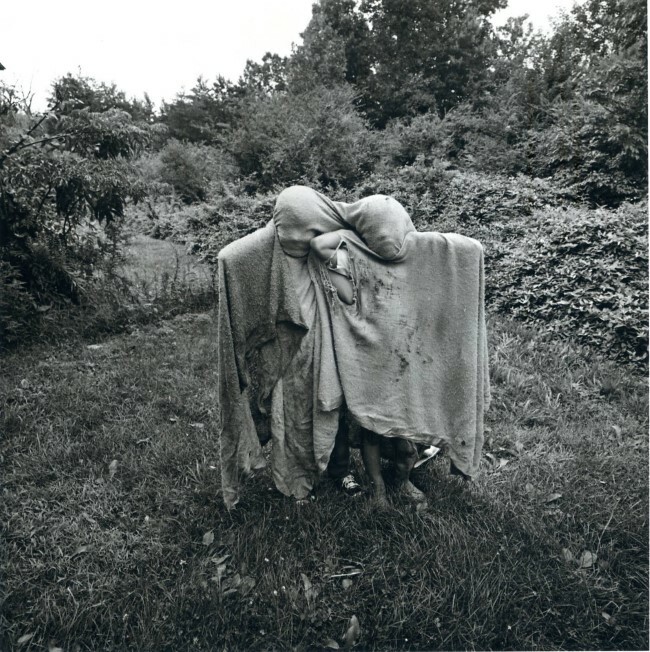 Gowin lives with his wife, Edith, and their sons, Isaac and Elijah, in a small Pennsylvania town and teaches photography at Princeton University. His books include Emmet Gowin: Photographs (1976), Emmet Gowin Photographs (1966-1983), Petra (1986), and Emmet Gowin: Aerial Photographs (1997). 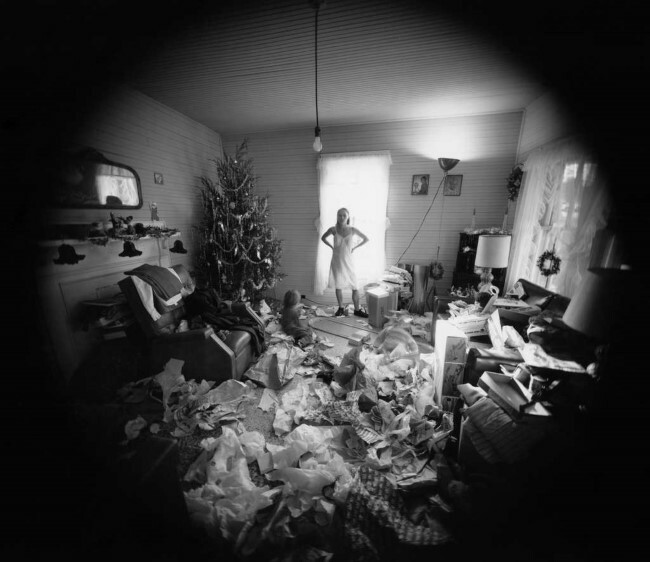 One of America’s foremost photographers Gowin’s first subjects were taken from his own world – his wife, children, and extended family in Virginia. Newer experiences have drawn him toward a wider view, encompassing landscapes of Europe, the devastation and beauty of Mt St Helens, the haunting emptiness of Petra, and most recently aerial views of mines, toxic waste dumps, nuclear test sites, and massive agricultural projects. 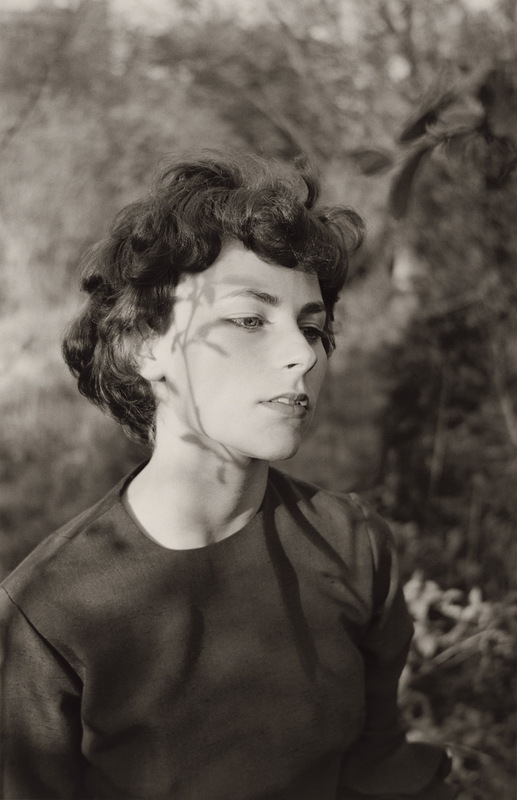 Emmet Gowin: It might take us a lifetime to find out what it is we need to say. Most of us fall into where our feelings are headed while we’re quite young. But the beauty of all this uncertainty would be that in the process of exhausting all the possibilities, we might actually stumble unconsciously into the recognition of something that’s useful to us, that speaks to a deep need within ourselves. At the same time, I like to think that in order for any of us to really do anything new, we can’t know exactly what it is we are doing. Of course, this is one of the really important things about art, that you can make more than you can understand at the moment the thing is being made. But the gap between what we recognize inside ourselves – our feelings- and our ability to trust ourselves and to trust exposing ourselves to those ideas, can be great. Now when I look at my students I see that the old uncertainties are still in business – this is the real dilemma for them. Their program has been to never be wrong. You get bad grades for being wrong. So you have to be right. It’s a potent conflict. John Paul Caponigro: Yes. At worst that can crush spirit, at best it can generate a lot of energy for work. I would think today with pervasive notions about plurality and subjectivity, that anything would be okay and that pressure wouldn’t be brought to bear that generates that kind of work. EG: You’re absolutely right and what a good point. The fact that something is unsayable, that you are emotionally restricted from saying or even recognizing consciously what your own spirit is struggling with, energizes one’s work. That is exactly where good work comes from. And that’s why you can’t ask somebody to find out what it is they need to do. It’s like going to a doctor and getting a prescription for what will make you well. You go and fill the prescription, you take the chemical, and nothing happens – because that’s not what’s wrong with you. That’s the dilemma. You can take the cure for the wrong problem. However, we want to put the accent on the creative imagination and putting ourselves in accord with our own lives and the energies that made us. JPC: Exactly. You can try and cure the wrong disease. Or you can try and cure just one part of it. Western medicine says cure the body, mind and soul will follow. Alexandra Caponigro: You don’t want them to get trapped in the materials or in other people’s answers. EG: But that’s a parental emotion at work when one says I don’t want a student to be trapped. The truth is, I’d be perfectly happy if they would be “trapped” within the experience their own authentic difficulties. If they would be trapped on their own, then any freedoms they discovered would be their own. Which is what interests me, because I believe that the joy of your own discovery is what confirms your own aliveness, your own value. So in this sense it’s cool to be wrong. It’s so essential, so necessary. It’s so appropriate to be confused, to be muddled, to be unsure. We preach clarity. Get your ideas organized. Get your thinking straight. And it’s the kind of stuff we all got from our parents, because that’s the role of parents. But it is the aliveness of the unguarded intuition and the persistence of our own feelings that guide us to our discoveries. AC: If I had a teacher who just said what you said, I think my life would have been completely different. I had teachers who said, “You’ve got to do, A to do B to do C.” Either that or nothing. EG: I did a little presentation the other day. I was showing slides. Somebody stopped me in the middle of the presentation when we came to a picture of my niece, Nancy, with her arms twisted, entwined, holding two eggs. And this woman saw a connection. She said, “This is just like Diane Arbus’ picture of the child holding two hand grenades. Which one came first?” Well to the best of my understanding there was no conscious connection between these two pictures. But what I have realized since is that every authentic newness, and every authentic discovery has a huge element of chance. It is not the conflict with influence or with Arbus’ picture, or which one takes precedence by being newer, but something much more fundamental. Like all real discoveries, it was the wisdom of her own body that taught her to make that gesture. Something she could not have explained to herself, no more than I could have explained to myself why it seemed so appropriate when she did that. She had come up to me with two eggs. I was under a dark cloth, focusing on something else. It was in a yard. And she would often at that age appeal for attention; “Let’s go make a neat picture. Let’s go do something. Can you tell me a story? Let ‘s just sit here.” Some little thing. As soon as I took my head from under the cloth, she was standing there saying, “Look what I found in the barn.” Until this moment she was just standing there in an ordinary stance. But as soon as she had my attention she embellished what she was telling me by crossing her arms and making a wonderful presentation of the two eggs. Now, did she know where that came from? I don’t think so. She was not reading the literature of photography but she was intimately connected to the intelligence of her own body. And that , in the end, is the source from which both of these photographs draw their authenticity. Joseph Campbell refers to this as the wisdom body, the way that our bodies are already in touch with what is needed. People , for instance, say they understand themselves, that they know what they are doing. But can we explain what’s going on inside our bodies when food is being digested? If you had to understand, you’d starve. But we live by the grace of the simple fact that our bodies take good care of us. It’s in this sense that I tell students that they have to be able to trust themselves. What we all have to do is to use this bodily wisdom, staying close to the kind of processes and ideas and emotional anchors that are most appropriate to our feelings, to ourselves. You can’t evade your ideas, which are precious to us, but micromanaging our ideas can be as much of a hindrance as they are a great help unless they are feelingly related to this older wisdom within which we were born. When we are young we are self conscious, we think about what people think about us. As artists, the more we think about our audience and what we are trying to present, the less, perhaps, we are in touch with the physicality of experience, the particulars, the minute details of our experience. JPC: One of the things that attracts me to photography most is that it leads beyond my preconceptions about the world, its inhabitants, and myself. The discipline of photography asks me to go out and look again. Every time I do I see new things. I think those experiences help one find one’s true voice, too. Really, it’s learning to listen to gifts we never knew the world had to give, never knew we had to give. EG: About twenty years ago, Frederick Sommer was interviewed on the local television station. And the interviewer asked him, “Well what makes your pictures different?” And he could not answer. Or he just could not quite start off on that note. So he said, until recently, until photography came onto the scene, art was an additive process. Then photography came along. The advantage of photography was that you went out, and you were at the mercy of what you found. That’s a very different thing than building an image element by element, constructing the composition. In a photograph everything matters. Not just the featured star of the picture, the subject, but a background over which you really have no control. And the emphasis here is discovery and the multitude of ways things can be deeply interrelated, and yet go unobserved. His assertion was that this was photography’s real advantage. The photograph is able to synthesize what is before the camera in a way that we, ourselves, cannot.. The beauty of this synthesis would be the fact that it is a reintroduction to reality. No one view better than another but fresh, something we could have never dreamed up. Sommer would later say that it was enough to come home with a sliver of experience , a sliver of reality , that would already be miraculous. EG: Everything really good in our experience is in some way beyond our control. JPC: In one sense that’s very true. It’s beyond our control and beyond us. There is a process of sharing between the universe and us. EG: Exactly. Where do our images come from, might be a reasonable question. If I put this in terms of something that’s totally first hand, in terms of discovering one’s own subject and the appropriateness of content to one’s self, do we really choose our subjects or do they choose us? Let me illustrate. In a recent class seminar my students caught me a little off guard. This class contained mostly young women. A little surprise of warmth and vitality came into their faces as they asked, “Tell us again how you met Edith at a YMCA dance on Saturday night.” So of course I told them as best as I could how I met Edith. Both they and I know that my life would not be the same without her. They think that’s amazing. And I guess I do too. What we really need, we can’t write the prescription for. You can’t predict what it is you need to do. You just see each other, and you’re interested. That’s all. It’s beyond what you can analyze. I think that the process of making art also exists in a terrain that is beyond analysis. Inspiration is unfashionable, but it does on occasion, exist. JPC: I think any commentary or contextualization of art, if it’s sensible, can only deepen its mystery. One can’t explain or explain away mystery. EG: Just the way you’re saying that, which of course I like, makes me think of Joseph Campbell saying that the task of the artist is to revitalize the perennial myth in terms of the experience of our common contemporary experience. If something is so lucky as to revitalize the perennial mythology in terms of our local personal human experience today, by definition, it seems, this should be something universal. It doesn’t even matter so much that it should be understood or recognized by everyone. However, the more a work of art is recognized, the more it is shared, the richer we can feel through our own participation in this celebration. But that’s all you actually get to have. History takes care of the rest. The fact that we are not in control is what’s so good about it. Because if we could control everything perfectly, we would lose the newness and bring ourselves back to where things answer to the authority that we are subjectively impregnated with. We just can’t rid ourselves of this sense of authority. And that’s very close to the parental deal, too. Let me repeat this again the essence of that quote from Sommer,because it’s important, ‘Art is an additive process and the thing about photography is we go out and we’re at the mercy of what we find. That’s the real discovery.’ You didn’t put it together but rather you found it. Moments later, as if to summarize and bring the thought full circle, Sommer shifted the emphasis. “The important thing.” he said, “is quality of attention span, and to use it for acceptance rather than for negation.” And you see, that really takes a person and shakes them and says, look, let go of the pretense. How do you find your subject? You probably find your subject by working through someone else’s subject until you actually can do something close to it for yourself. This is exactly how it happened for me. I was shown a copy of The Family of Man in 1961, while I was in a drawing class. And I think it was being shown to me to put me in my place. Don’t get so excited about photography. There are people a whole lot better than you are. I zoomed through it quickly and I found a few things that I thought were really memorable. In particular, l had come to the very end of the book when I saw another picture that seemed to have the very same feeling as a picture that I’d seen in the front. When I looked back to the beginning to see why I should have thought there was any connection between the two, I found that both the feeling and the name under the images were the same, Robert Frank. I had intuitively understood the feeling of the picture, which was much better than understanding who took it, an intellectual thing. So, I, right then, felt that this person carries that feeling with them wherever they go. And I must have some of that feeling in me, because I got it the first time. I knew that that would be a basis for me. I couldn’t have told this then; I’m telling you this 30 years later. I knew intuitively right then and there that that’s how you know. If you can feel that two things are made by the same personality, then you can recognize when something matches your personality. It is yours, and it doesn’t have to be yours. Ironically, the people involved were the same people that I took my apprenticeship with. I tried to do Cartier Bresson in Virginia. 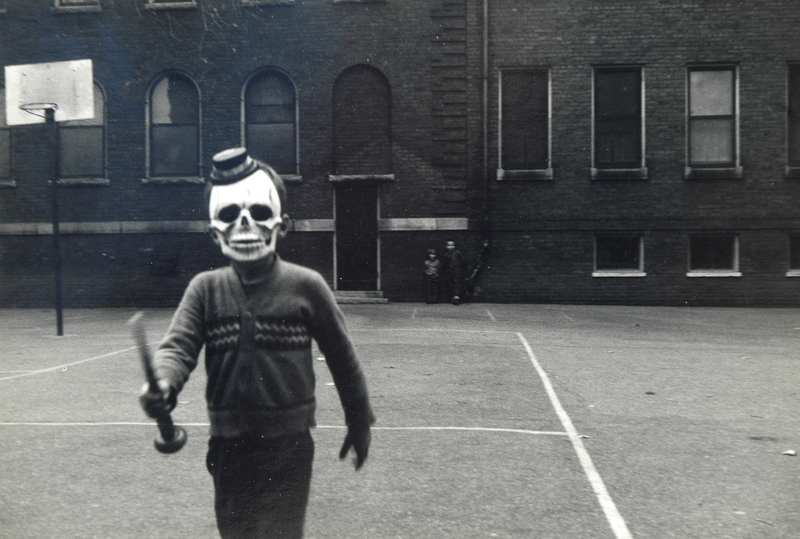 But it was much harder to do than Robert Frank. 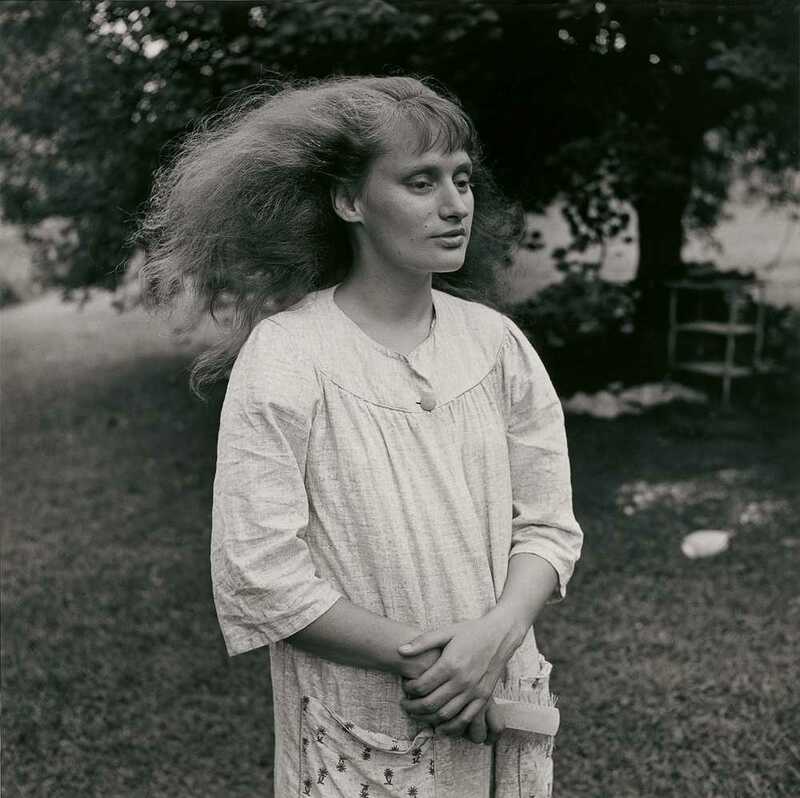 Virginia looked like Robert Frank had just been there. Virginia did not look like Paris, It’s not really surprising that the Virginia I knew between 1961 and 1965, looked like The Americans. Frank’s pictures were made between ’55 and ’57 but it was his genius to recognize the value of that world through images. It was only after I felt like I had come so close to Frank’s work that I realized I could keep on making pictures in this vein until I would become someone that I am not. It would be right to let go of what I had, in a way, mastered. To be in the presence of our own first hand experience, is probably the only way we can save ourselves. See what I was saying about Robert Frank; what I had to give up was being answerable to Frank. What I had to become was answerable to what was happening in front of me and how I felt about it. That’s what you have to give up, the authority of an answer and replace it with the authenticity of the experience. And that’s why I want to emphasize and celebrate what Sommer was saying. We’re at the mercy of what we find. That’s the big advantage. It’s a big advantage. It’s difficult to say why I personally feel such a need to underwrite chance. I certainly believe in imaginative invention, but I also know how important it is to be open to chance, which is always the most creative of forces. Perhaps , also, it is simply the strong feeling I have about my own work, that it all, somehow, amid my own struggles, appeared almost out of nowhere, as a gift. The thing is that you can’t answer to authority. You have to answer to what corresponds to your experience, the way in which your experience and the image correspond in an inner truthfulness. I think this is what Jacob Bronowski means when he say that he “finds the act of creation to lie in the discovery of a hidden likeness”. And that the “act of appreciation re-enacts the act of creation”. I feel that the authenticity of that likeness is something we seize finally by force of our own intuition, our own perception. The discovery itself must be able to provide a home for our feelings, its that simple. Authorship, in this sense, is so much less important than how the picture speaks to us. JPC: Nature and spirituality seem to be enduring themes for so many of us. EG: Spirituality is the natural response to the totality of nature, of which we’re a part. For me, it is a felt relationship to nature, of which I recognize myself as a micro part of a macro whole. One of my youthful intuitions was; don’t make any conscious decisions. If God wants you, he knows where you are. It’s odd to me now when I think back on the kind of person I was 25 years ago, making pictures of Edith’s family and so forth. I felt then that if pictures weren’t of people, they weren’t about what was really important. Behavior, our behavior, that’s what’s important. The way we treat children is what matters. How to pass from being a child oneself into being an adult, and how to treat children so that they become adults, proper adults, that would have been it. So my idea then was, why would you want to study anything else? I think it would have shocked me if somebody had told me that later I would be looking at acts of destruction or at toxic waste, or places where something terrible was done. I would have thought , that’s not my make up. But I began to see ourselves in a different scale, a different distance. You know, it would be very easy to be swept up by one’s political convictions. But just because one doesn’t make so called political art doesn’t mean that you don’t have convictions. Anyone who is as serious about what they do as an artist, for a long time, has obviously got convictions. When I was making the family photographs it was during the Vietnam War and we knew exactly what kind of time we were living in. 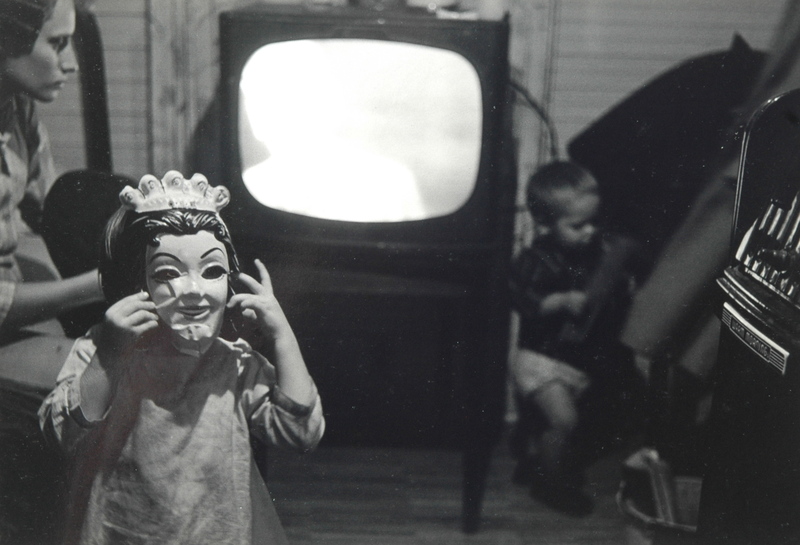 The television brought that to us every evening. To not give yourself to an activity that you feel is wrong, is to be doing what you should be doing. To not do what is wrong and to do what you feel is right is a political act. 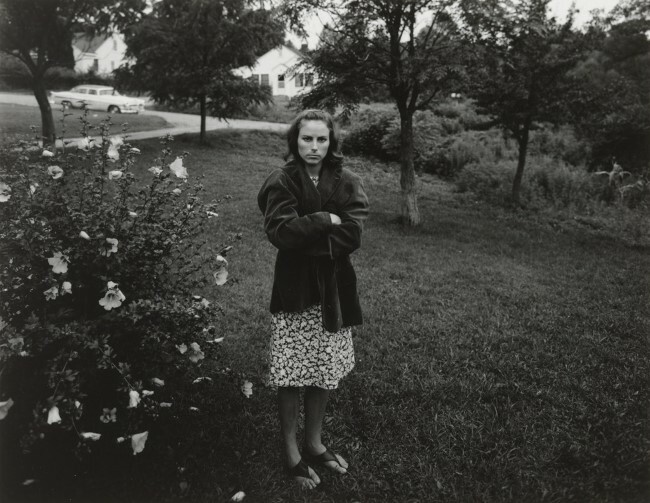 Posted in Highlights, Interviews and tagged Camera Arts, Emmet Gowin, Interview, Interview E.